Using Bluetooth or USB, you can connect keyboards, mice and other devices to your Nexus 10 tablet. The devices which you will connect can be used as they are normally used with a PC. You will probably need to use some adapters for connecting them to your tablet. If you want to connect more than one devices at the same time to your Nexus 10 tablet, you will need to use a powered hub which will reduce the drain of your battery. You can use a keyboard for normal writing activities, but you can also use it for some features of your tablet. So, you can use the arrow keys to select items on the screen. Also, you can press return when an item is selected to tap that item or you can press escape if you want to go back. If you want to go from screen to screen, you will press Tab or Shift-Tab. When a mouse is connected to your Nexus 10 tablet, a cursor will be shown on the screen just like on the PC. You can use the mouse to move the cursor. Clicks will be used like normal Taps. The wheel of the mouse can be used both vertically and horizontally. You can use other devices especially for gaming. 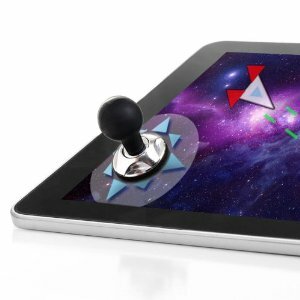 You can use Joysticks, gamepads or any other devices which will make your gaming experience more fun. Remember that only special featured applications and games will allow you to use them.